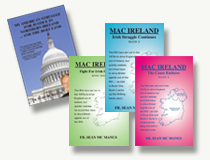 The ending of the partition of Ireland is inevitable. In the meantime, the Beloved Community must be built up in Northern Ireland —based without equivocation or stonewalling on the Good Friday Agreement. The DUP’s failure to accept this is not only disrespectful to Nationalist/Republicans/ ‘Catholics’ but is also a great disservice to the Unionists/Loyalists/’Protestants’ of Northern Ireland. How many unionists do you think read the speech Michelle O’Neill gave in Milltown cemetery on Sunday? Few or none? How many members of the DUP assembly party read it? Few or none? That’s the whole speech on the Sinn Féin website, not just the headline “SF calls for unity vote in five years”, which probably guaranteed virtually no unionist read any further. She added: “I need a Unionist leader who’s up for tha, t so that together we can serve the entire community fairly.” Her speech, like Kearney’s, fell on deaf ears among Unionists like everything anyone in Sinn Féin says. In a lecture on March 6, Professor George Weigel, an American writer and policy analyst, tried to explain this kind of reaction, the blanking out of other views. He calls it “the politics of them”. It makes it impossible to imagine that someone with a different policy prescription might be honest, well-intentioned, much less even right. It means it’s impossible to see anything of value in what the ‘other’ thinks or believes. Due to the DUP’s paranoid style of politics it’s inconceivable that Arlene Foster could contemplate accepting anything like a concept of two conflicting narratives or imagine they are equally valid and need to be reconciled. Consider her speech at her party’s spring conference recently. It can be summed up as follows: ‘Sinn Féin, Sinn Féin, Sinn Féin.’ Now repeat. In DUP speeches Sinn Féin is the embodiment of all evil, a gigantic conspiracy against Unionism. In fact, Arlene Foster’s overheated, aggressive speeches are almost as paranoid about Sinn Féin as Micheál Martin’s and even less constructive. The comparison is apt. We know Martin has staked his future on not doing a deal with Sinn Féin. His message is clear. The problem for Foster and the DUP is that unlike Martin they must do a deal with Sinn Féin. The question they need to answer is how can that be possible when in every speech they tell their supporters that Sinn Féin is, to paraphrase Richard Hofstadter, a vast, insidious, preternaturally effective conspiratorial network? As such it must be defeated because it is the enemy. How can this be, when the DUP has just spent 10 years in an administration with that same enemy Sinn Féin? You might also notice that Arlene Foster and other DUP figures almost never name anyone in Sinn Féin. They prefer to demonize the party as a disembodied entity, conveniently ignoring the fact that 70 per cent of nationalist voters in The North support them. It’s ‘Sinn Féin, Sinn Féin, Sinn Féin’, not a criticism of what O’Neill or McDonald says or proposes for that can’t be considered sincere or well meaning. It has to be a trap, a snare and a delusion so you can’t engage, or the spider has you in its web. Now as long as this is what passes for politics in The North, we’re going nowhere. O’Neill is right that she has no partner in Unionism who can move beyond the ‘politics of them’ to work out how to cooperate together. Foster lacks the political nous to see the big picture. Therefore she can’t get past her inherent contradiction of encouraging her supporters to detest, distrust and abhor the entity called Sinn Féin but at the same time claiming to be working to get into partnership with that same dreaded entity.